Welcome to the first stage of what I hope will be a successful career in architecture. You are no doubt aware of the exciting potential that lies ahead in this profession of ours. Scotland, in particular, has produced many famous architects; indeed, many recognise architecture as the art of Scotland. Architects make a unique and far reaching contribution to the built environment. Their designs should be responsive to social, cultural and environmental issues, utilising the rich potential of science and technology to achieve quality in the design of spaces, forms and details. For architects to play this effective and rewarding role, the following skills and knowledge are required. 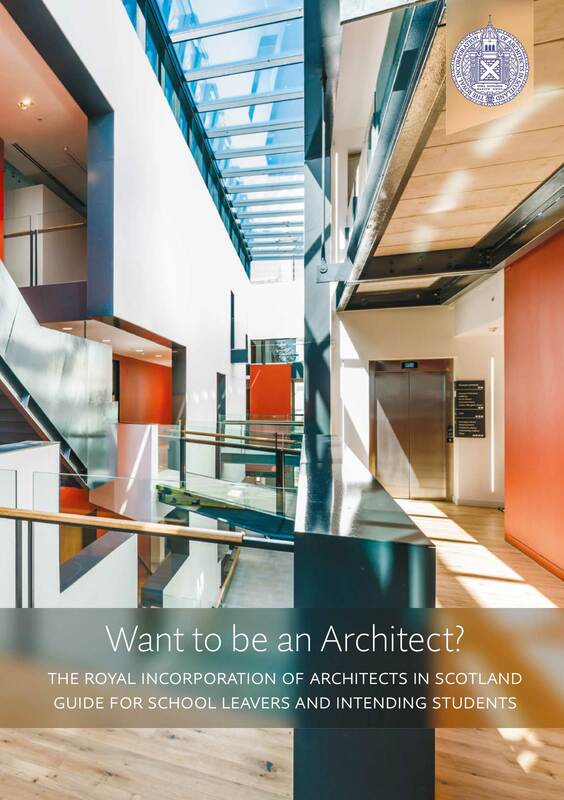 The RIAS has produced a guide to help you decide if a career in architecture is for you. You can download it or view the online version. Becoming a Student member of the RIAS is the first step towards your professional career. RIAS Student membership is free to all architectural students studying at one of the five schools of architecture in Scotland. The James Miller Student Award supports British architecture students from the Scottish Schools of Architecture who are studying in full or part time education on an approved course; it is designed to assist students who are facing hardship issues which affect their ability to complete all or part of their course.